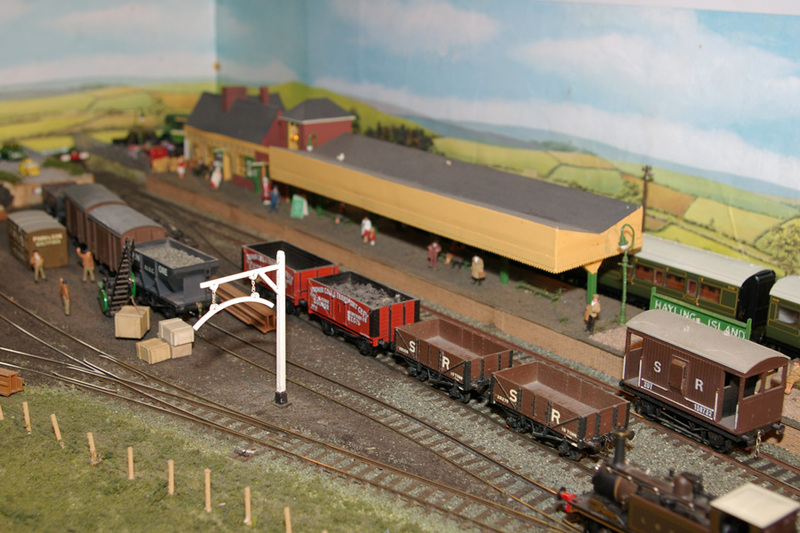 The first exhibition layout built by group member, Richard Pretious, this ‘00′ layout is of Hayling Island station, and is frequently recognised by members of the public as so. 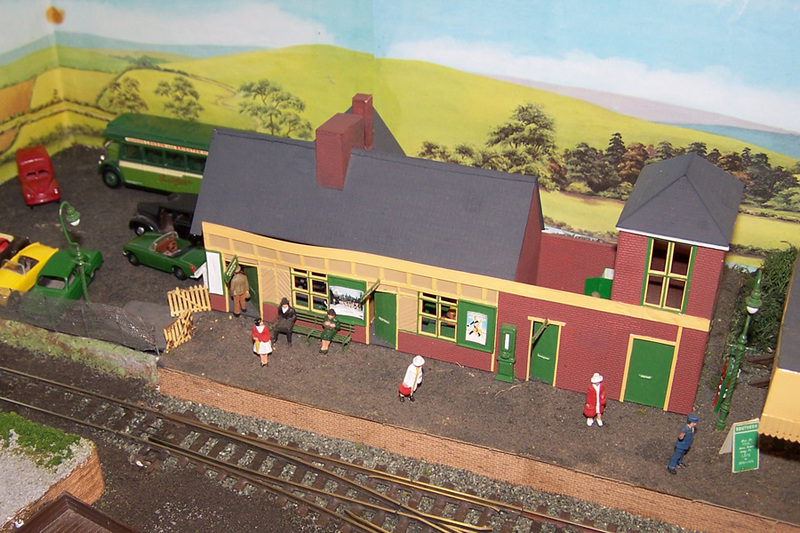 The layout has been subject to selective compression in order to fit into the space available (the complete layout including fiddle yard is only 13ft by 2ft). 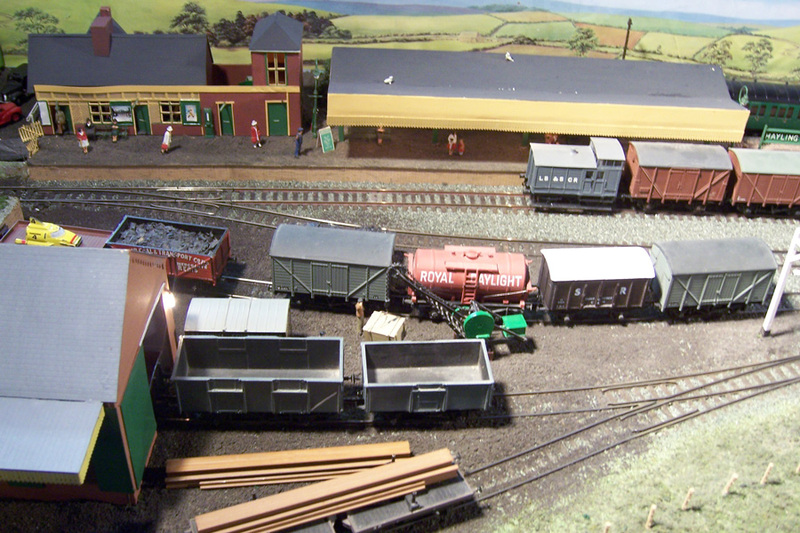 The layout successfully captures the atmosphere and surroundings of the original line. 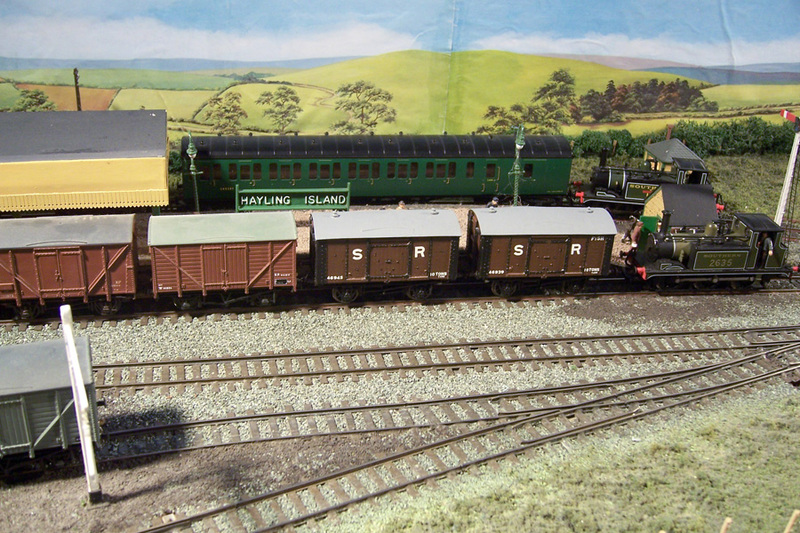 The layout is operated with mainly proprietary stock in either British Railways or Southern Railway periods. 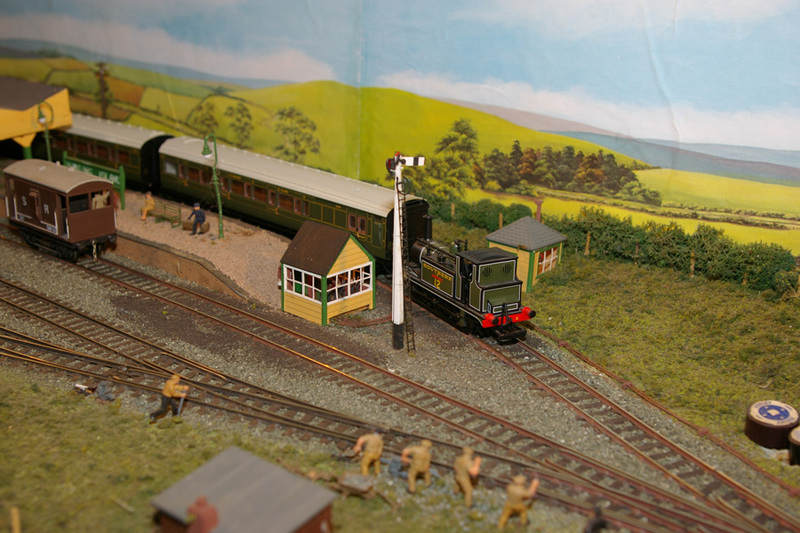 Buildings are scratch built replicas of the originals and the layout is fitted with operating signals. 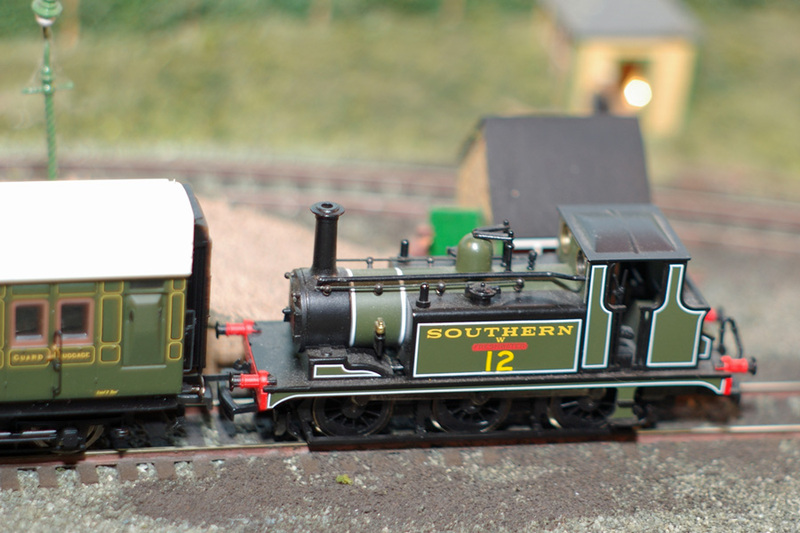 Richard once won the club modelling competition by entering Hayling Island. 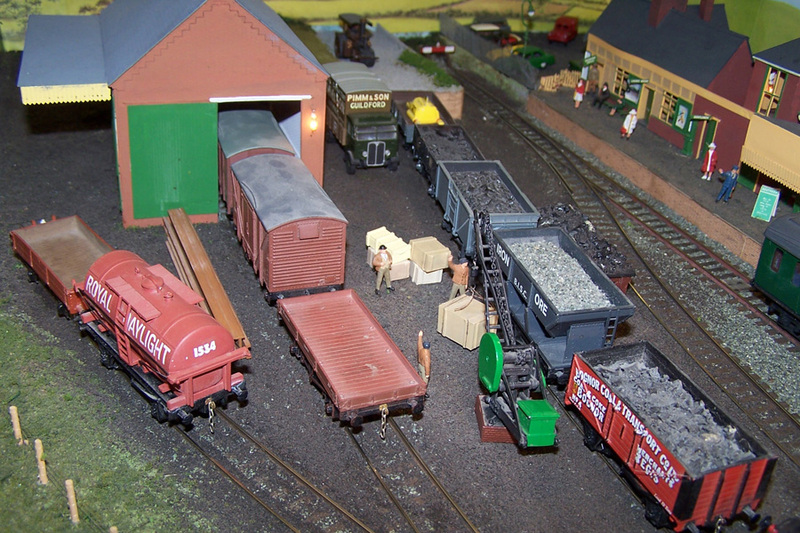 The rules were subsequently changed to stop him doing it again. 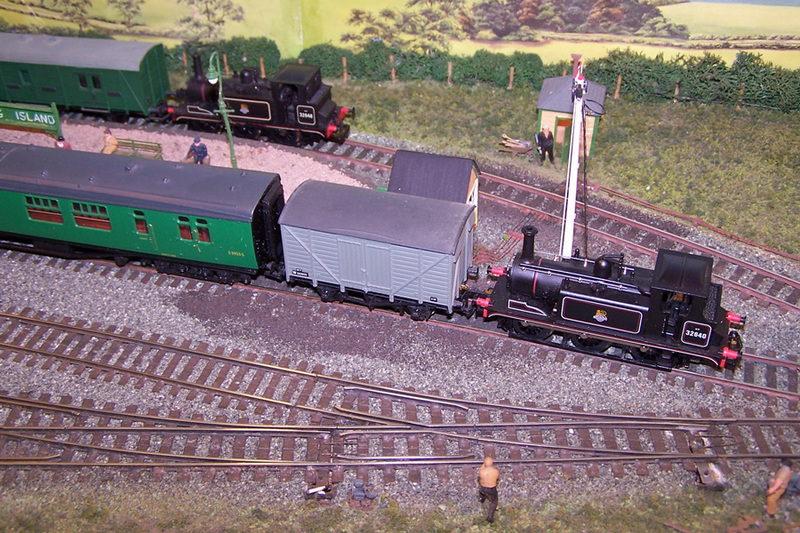 To book Hayling Island for your exhibition, please contact Richard Pretious on 01420 257300.